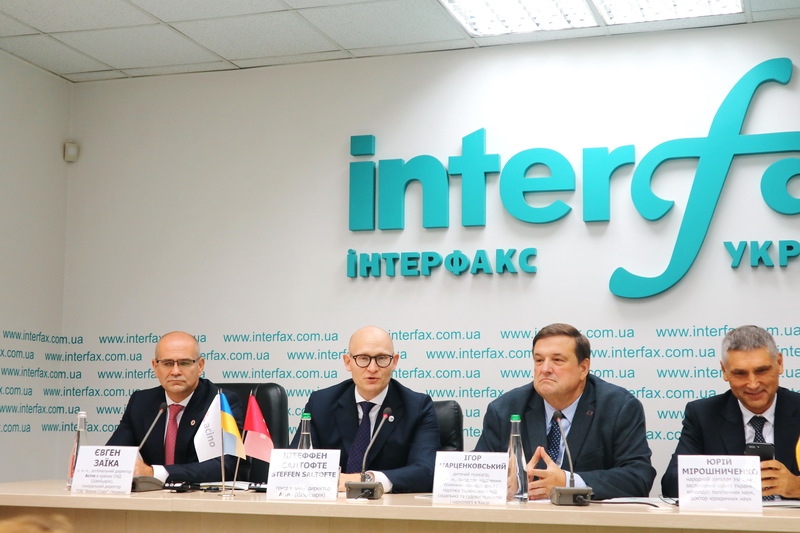 On October 2nd, 2018 Steffen Saltofte, CEO Acino, and Eugene Zaika, Ukraine and CIS Head Acino took part in a press conference dedicated to the social project ‘Your Limitless World’ by Acino, which aims to help people with autism spectrum disorder and improve the quality of their lives. The social project runs social events and activities that support to children and families which face this disorder. Watch the press conference in Ukrainian here. The press conference also featured: Igor A. Martsenkovskiy, pediatric psychiatrist, Ph.D., head of mental disorders of children and teenagers of Ukrainian Institute of Social and Forensic Psychiatry and Narcology (Kyiv), Yuriy R. Miroshnichenko, People’s deputy of Ukraine, honored lawyer of Ukraine, Candidate of political sciences, Doctor of Jurisprudence, Inna Sergiyenko, founder of the children with autism support foundation “Child with future”, Consul of “Autism Europe” and mother of a child with autism. The event was moderated by Alla Sorokolietova, Medical and Regulatory Director Acino. The speakers covered the charitable project, emphasizing the need to raise awareness among doctors, educators and parents on early autism. They also discussed how to create improved conditions in education to support those with autism, and the creation of a common and systematic approach to help children to thrive. Autism was once considered a comparatively rare disease. Epidemiological studies conducted by the Center for the control and Prevention of U.S. diseases, studies conducted in Asia, Europe and North America demonstrate the average prevalence of about 1% within the population. However, the incidence rate of Autism in Ukraine is growing from 2006 year, until 2017 year the number of first diagnosed cases has increased in 8.5 times (at the end of 2017, 99.8k cases were recorded). Providing medical and social assistance to children and adults suffering from autism is a serious economic burden for the states. There is a need to strengthen national potential in the care of children, teenagers and adults suffering from autism and other developmental disorders, commented Igor A. Martsenkovskiy, pediatric psychiatrist, Ph.D., head of Department Mental disorders of children and adolescents of the Ukrainian Institute of Social and Forensic Psychiatry and Narcology (Kyiv). Acino in Ukraine donates considerable funds that are invested in social, humanitarian and charitable projects aimed at improving the quality of life of patients in Ukraine. Given the rapid growth of the number of children with autism both in Ukraine and around the world, the activities aimed at solving this problem are a meaningful support to society. ‘It is important that we make the effort to integrate everyone into society. This starts with proper medical tactics and the correct social rehabilitation. Cooperation between the state and private sector is critical in achieving this, noted Eugene Zaika, Ph.D., Ukraine and CIS Head Acino. 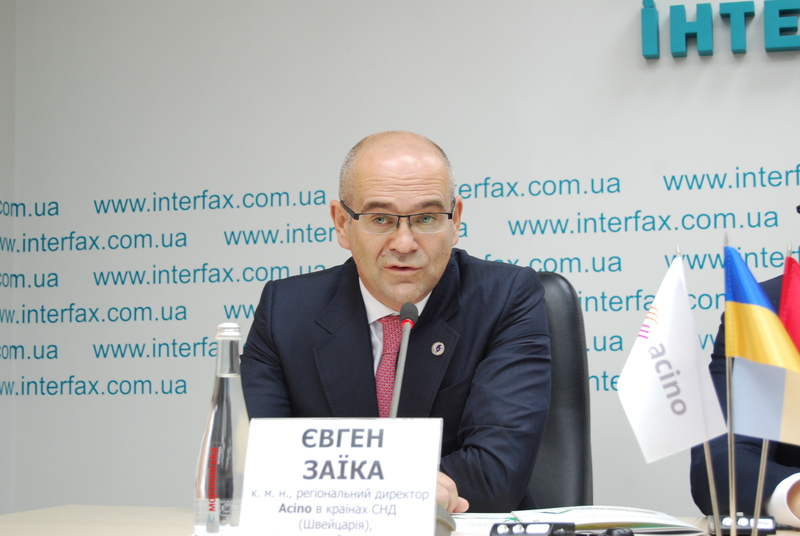 ‘Acino is delighted to support this important initiative in Ukraine. Our goal is not just delivering quality pharmaceuticals, it is also to improve the health of the communities and patients we serve. We are only too happy to give our expertise, time and backing to ‘Your Limitless World’ and I wish everyone taking part in this social activity much success in the future.’ added Steffen Saltofte, CEO Acino. One of the first initiatives of the project was to issue teaching aids in cooperation with the “Child with Future” fund. Methodical manuals “Guide for Parents” and “Guide for Teachers” were designed to find a common language with the child as far as possible. Acino also helps the sports team Kids Autism Games in their pursuit of development and self-improvement. On June 3, 2018, the children of the project, together with the support of the company’s employees took part in the charity “Chestnuts Run”, where traditionally funds from participation are sent to purchase the necessary equipment and consumables for the center of Children’s Cardiology and Cardiac Surgery of the Ministry of Health of Ukraine. Yuriy R. Miroshnichenko, People’s deputy of Ukraine, honored lawyer of Ukraine, candidate of political sciences, Doctor of Legal Sciences, said: ‘Children are our future. It is the duty of parents, parliamentarians, States and societies to create conditions, ensure proper education and to do everything possible, so that there is no discrimination for the development of those who have the same rights – the right to education and decent standards of living, as any of us. The support of children who need extra developmental support requires the participation of representatives of different spheres of our society. Today, when our country is in a state of military activity and the implementation political reform at the same time, we understand there is a huge amount of social pressure on the state. Therefore, support from the business, especially the pharmaceutical industry, absolutely needed today.’ Said Inna Sergiyenko, founder of the children with autism support foundation “Child with future”, Consul of “Autism Europe” and mother of the child with autism. We are sincerely grateful to our partners and hope that their activities will be an example for other businesses. After all, problems of mental health can touch everyone, she finished. The social project “Your Limitless World” is long-term and invites cooperation between people and specialized organizations. Acino is taking responsibility for their part.